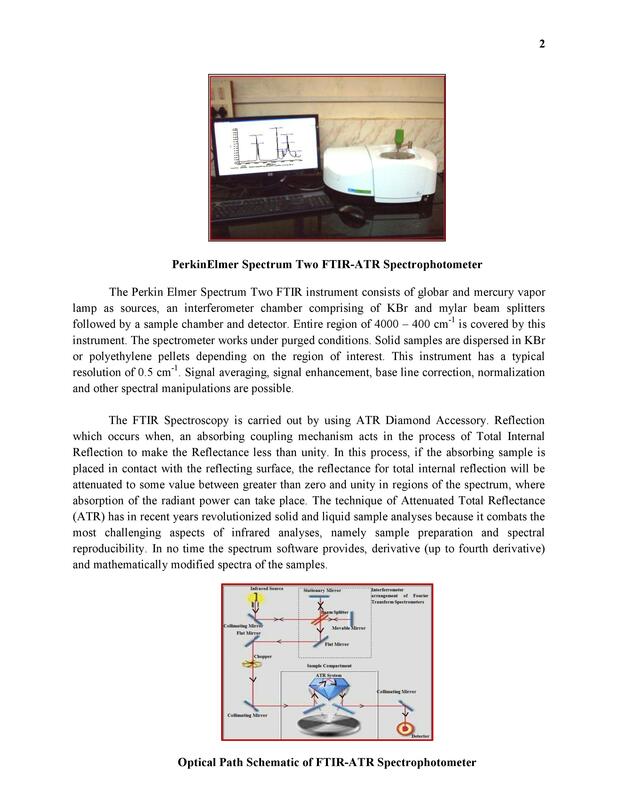 Analytical Instrumentation Facility of St. Peter’s Institute of Higher Education and Research (SAIF-SPIHER) stands tall today as a central sophisticated instrumentation facility of St. Peter’s Institute of Higher Education and Research, since its establishment in the year 2014. 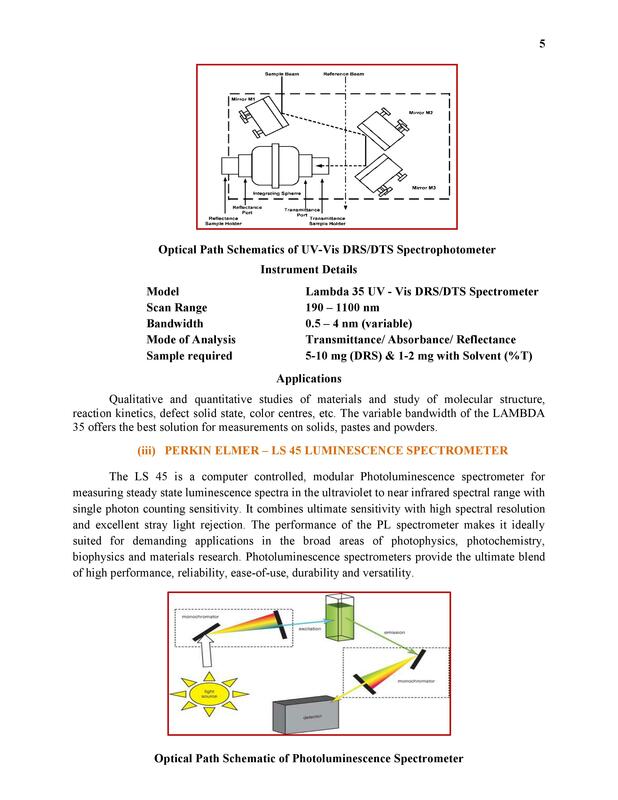 SAIF-SPIHER facilitates the researchers of all and the sundry associated with research by providing guidance in acquisition of data using the advanced reflectance and the transmittance spectroscopic techniques viz., FTIR-ATR, UV-Vis DRS/DTS and Photo Luminescence spectral measurements. 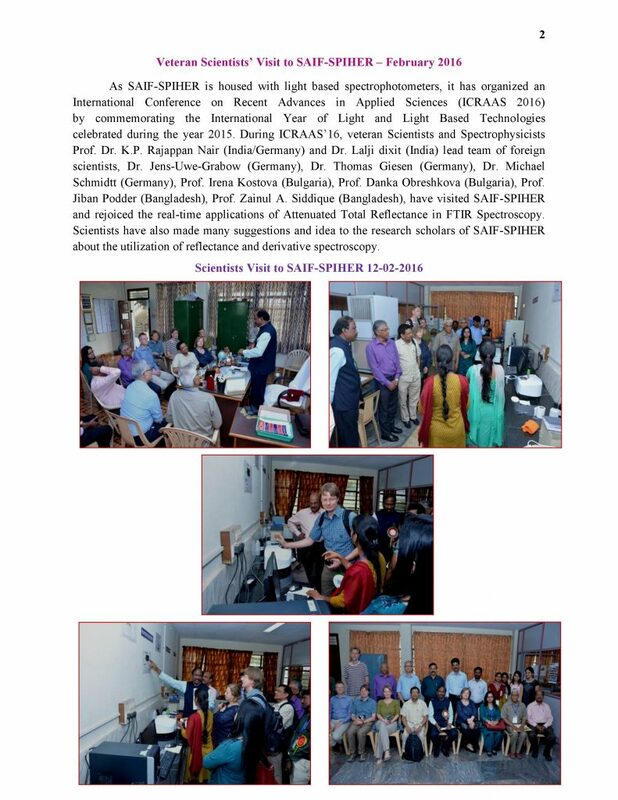 SAIF-SPIHER also extends its consultancy services to Industries, R&D laboratories and institutions. 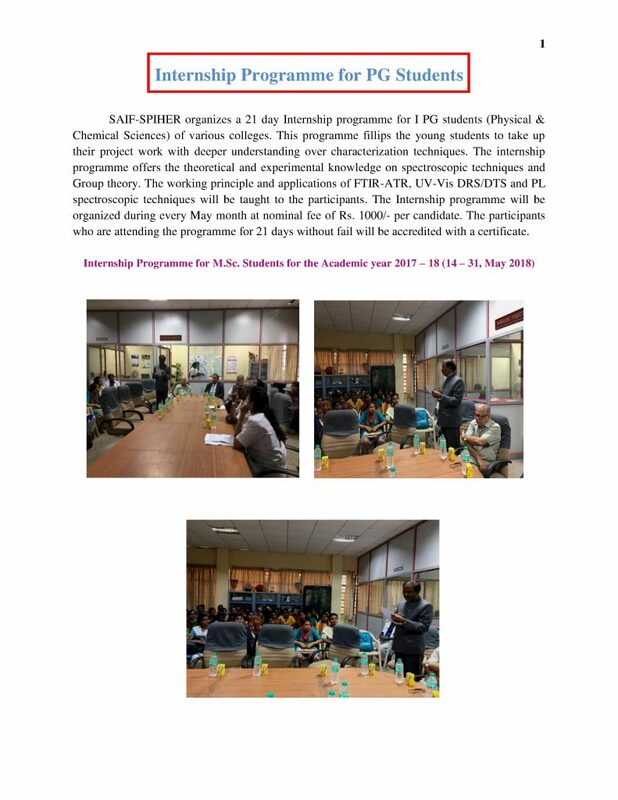 SAIF-SPIHER organizes workshops in regular manner on the working principle and application of the available spectroscopic techniques at SAIF-SPIHER for students, teachers and personnel from other Laboratories, Universities and Industries. 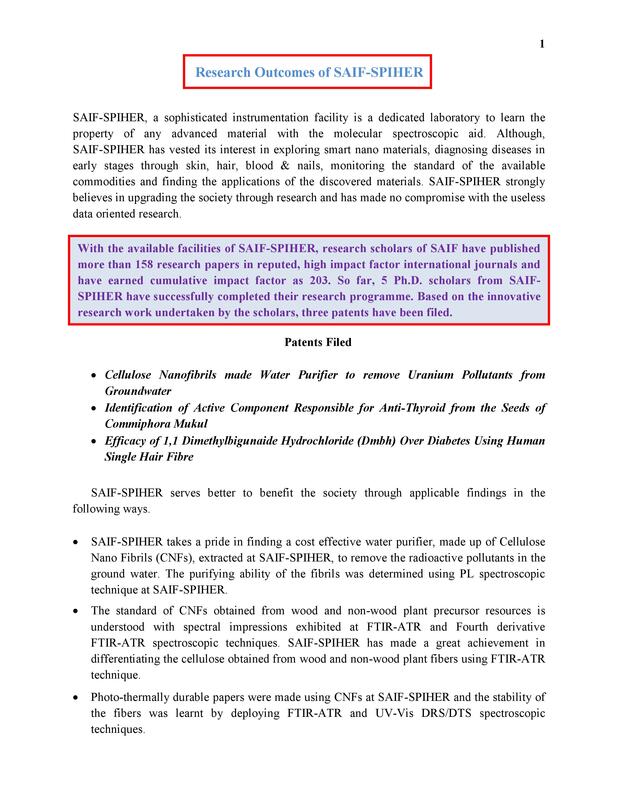 SAIF-SPIHER provides facilities of sophisticated instruments to scientists and other users from academic institutes, R&D laboratories and industries to enable them to carry out measurements for R&D work. 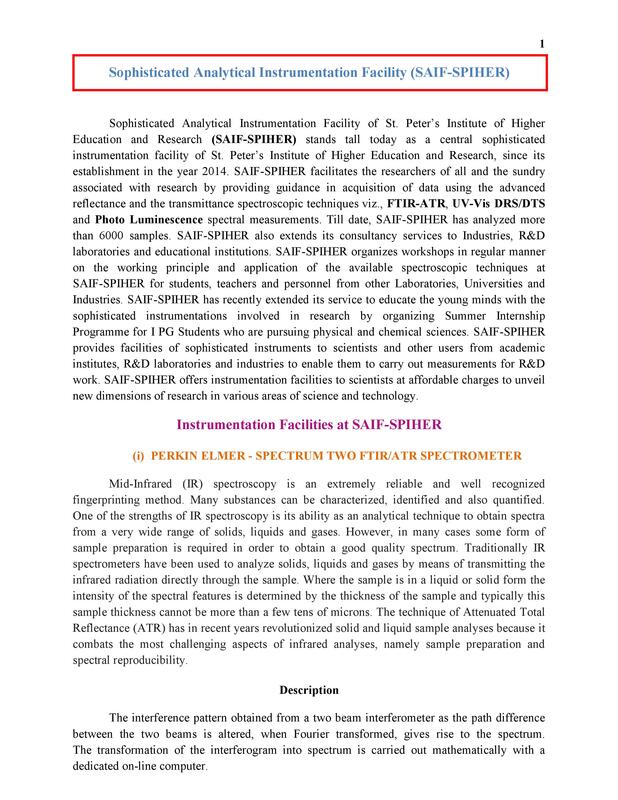 SAIF-SPIHER offers instrumentation facilities to scientists at affordable charges for unveiling new dimensions in research in various areas of science and technology. 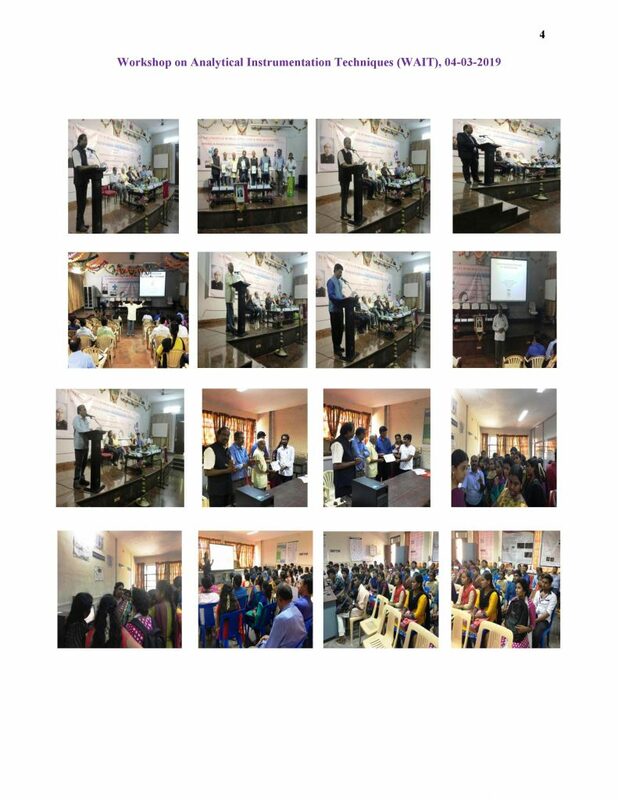 The Dean , Research and Development St. Peter’s Institute of Higher Education and Research Avadi, Chennai - 600 054. 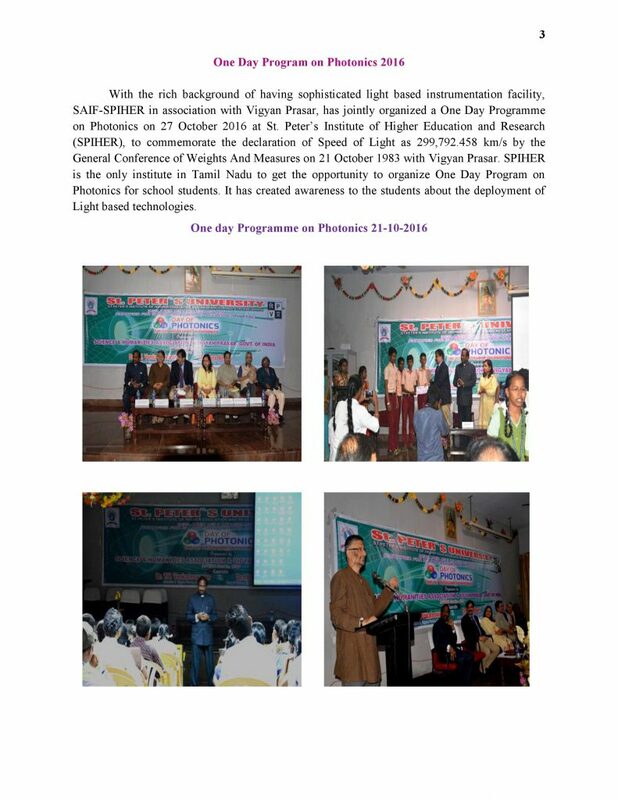 Only on receipt of the payment along with the samples, they will be registered for analysis and taken up for measurement as per the seniority/queue of the users of the instrument concerned. 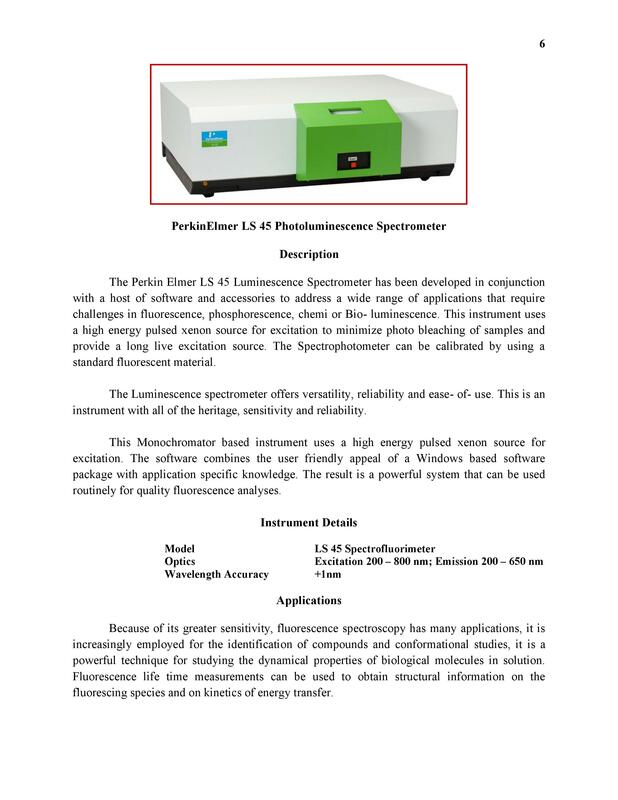 As soon as the analysis is over, the spectra along with the receipt / bill will be sent to the users. 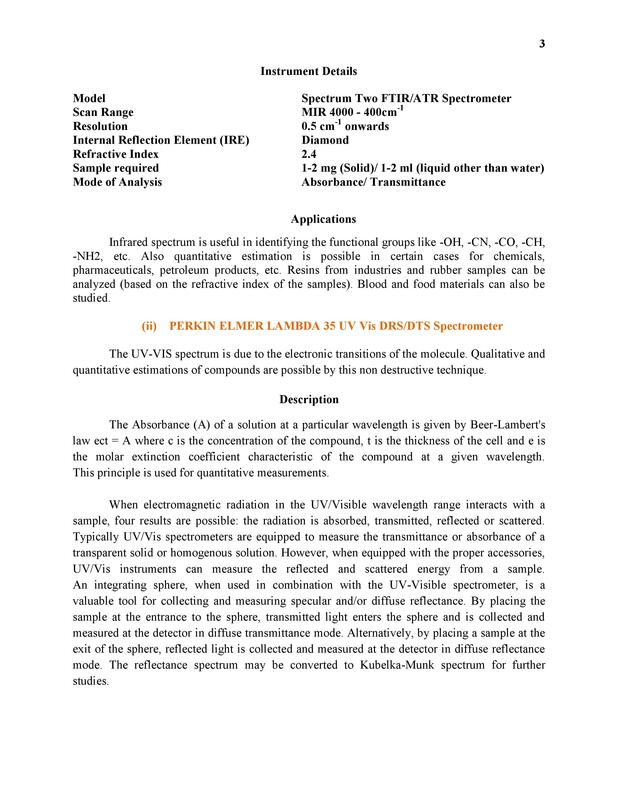 While submitting samples for more than one analysis separate samples are to be sent for each. 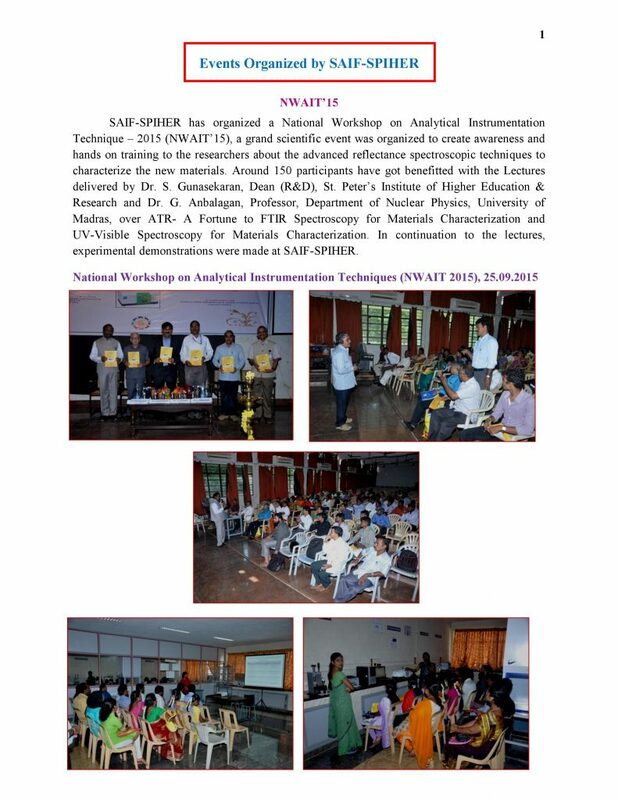 As per the guidelines of the St. Peter’s Institute of Higher Education and Research, in all publications of research work, where in the analytical services of the SAIF have been made use of, the SPIHER and the SAIF, SPIHER, Chennai, shall be duly acknowledged. 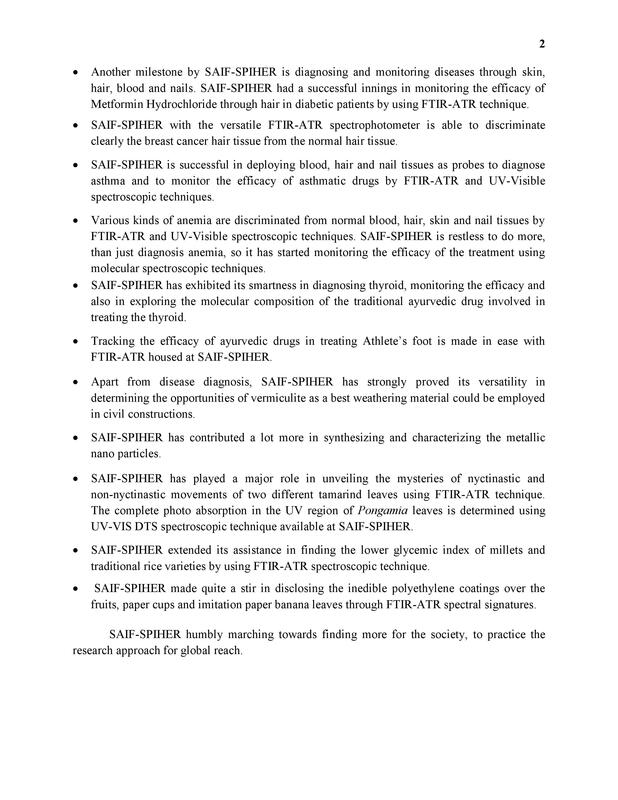 The charges mentioned are for analysis of samples received from users within India only. For overseas users, please contact SAIF by Email directly. Please note the current policy on payment of analysis charges: Our current policy requires analysis that payment be received before the samples can be registered and analysis taken up. 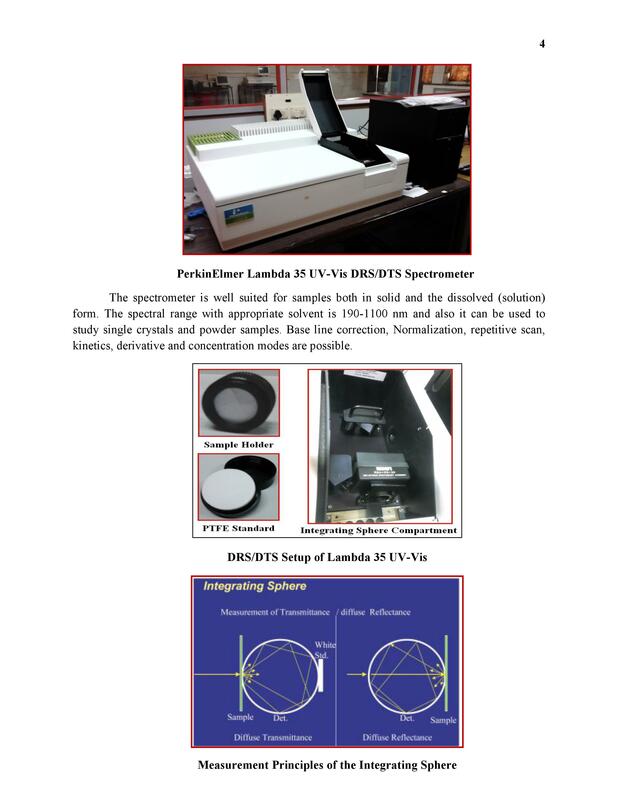 Please make sure that the payment is received along with the samples. 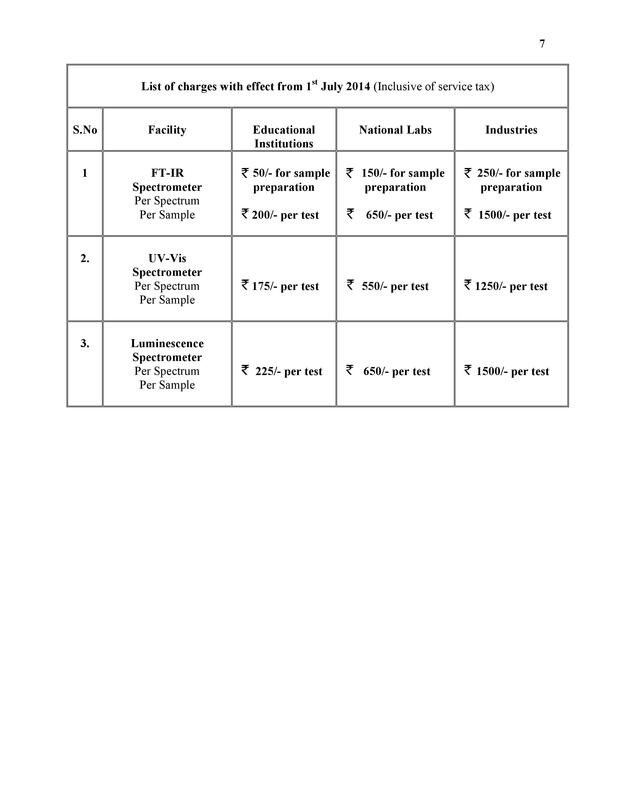 Payments are to be made only by crossed demand draft (DD). Please note that in the event the DD amount/payment received is more than the actual analyses charges incurred, it will NOT be possible to refund the excess amount paid. However, the excess amount may be adjusted against future analyses by the same user or another user from the same organization following a written request by Email or hard copy.